Art grows out of each particular situation, and I believe that artists are better off working with whatever their environment throws up. It's hard to think of many found-object artists who have achieved works as intricately made, culturally resonant and visually sumptuous as El Anatsui's. Podcasts! 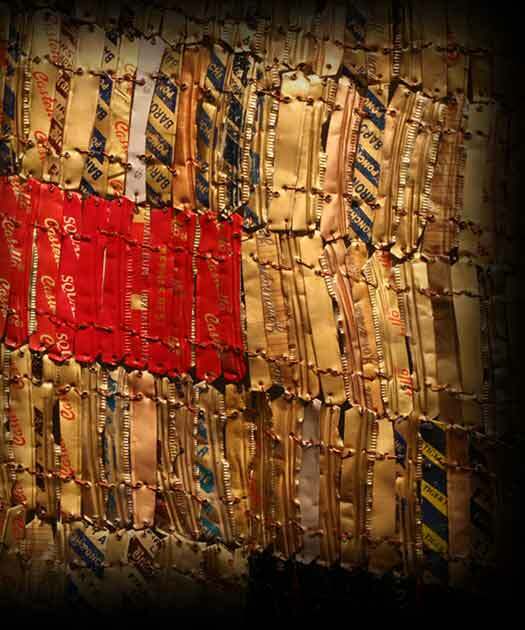 Listen as El Anatsui discusses three of the objects in this show. Choose from Peak Project, Crumbling Wall or Blue Moon as you read about the object and see images of them. All on the Artworks page.